Finally! It’s arrived! Warm summer weather always makes me want a crispy salad. 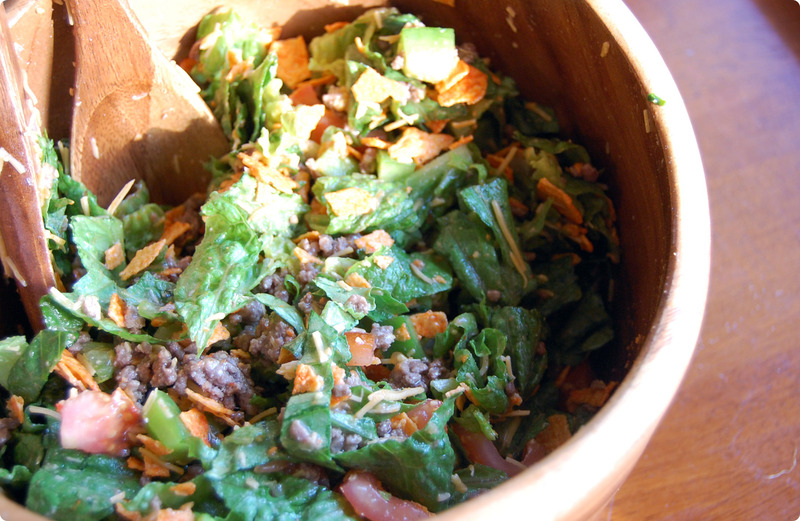 This easy Dorito Taco Salad has been a staple in my family since I can remember. It is very easy and very affordable. You may even have most of these things on hand. 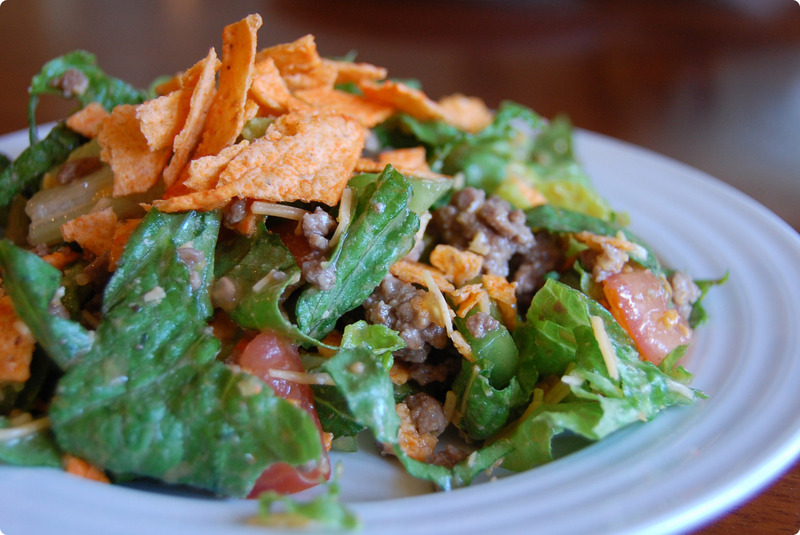 Any salad topped with Doritos is a winner in my book. On stovetop, brown ground beef and remove grease. Set aside. In large salad bowl, add lettuce, tomato, green pepper, cheese and olives. Toss. Add ground beef and dressing and toss again. 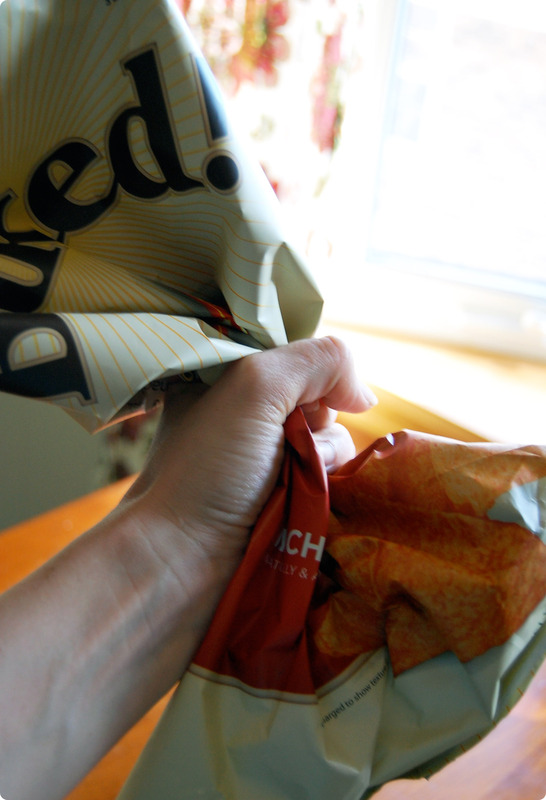 Using about a quarter of a bag of Doritos, crunch into small pieces. Shake over salad and lightly toss. I always love eating the leftovers of this salad. The Doritos don’t stay very crunchy, but it is still delicious. You can choose to have each individual dress their own salad, but I prefer to do it ahead of time. Serve this up with some lemonade and you have summertime perfection. I grew up with a similar salad! Its so good! Instead of Italian dressing we use equal parts mayo (not miracle whip, mind you!) and this can of jalapeno relish (but if you can’t find that, hot picante sauce works just as well). Its a nice creamy spicy dressing. Fabulous! I haven’t had a homemade taco salad in ages … brings me back to my childhood, my mom would always make a version of this on our boat trips. Will definitely be making this, this weekend! Fabulous! I usually make it with catalina or any red french dressing. Try it, really good. Awesome idea to use Doritos! I wonder how this would be with those crazy Taco flavored ones on the shelves right now. I just might have to experiment on that one for you! I have a feeling that would be delicious! Let us know! My mother, and now me, also make a similar salad. Our dressing is equal parts French and Thousand Island dressings with a little Taco Sauce -perfect!